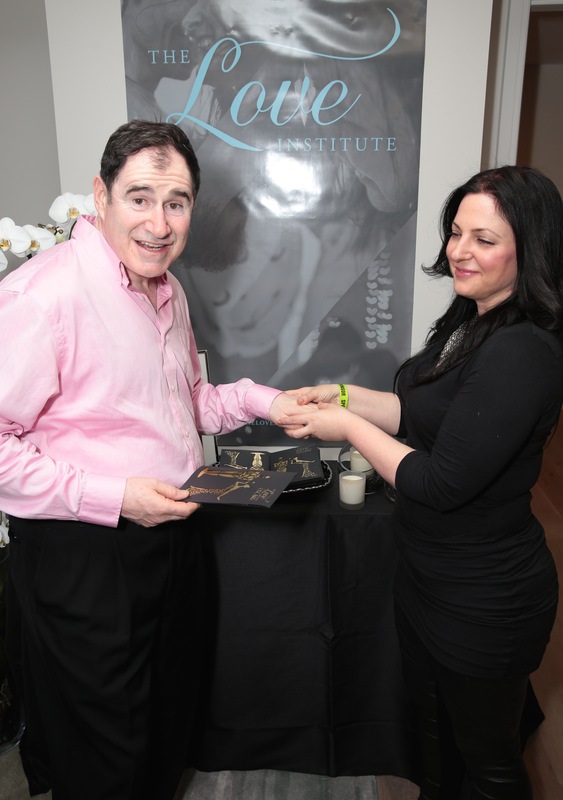 Richard Kind, loved being massaged with our White Chocolate Massage bar, by Meagan Holub, Celebrity Massage Therapist and Founder of The Love Institute. he kept her laughing, while she worked on his hand. 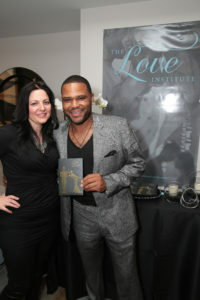 You and your partner, can learn the same massage techniques Meagan is known for giving to celebrities for over 20 years, at The Love Institute. Because, couples that massage together, stay together! 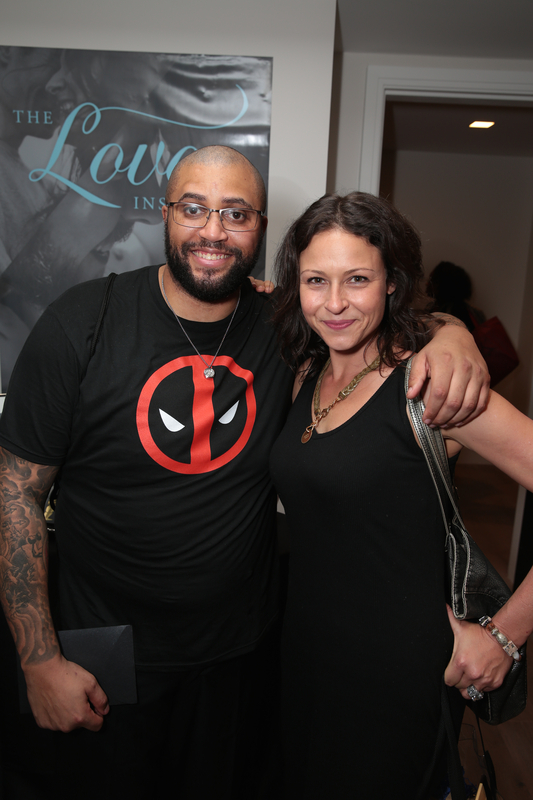 Michael J White of Spawn Fame, and his lovely wife with Meagan Holub, Celebrity Massage Therapist and Founder of The Love Institute, the most trusted Couples Massage Classes on the planet. When you work out hard, you need great massage from your partner. 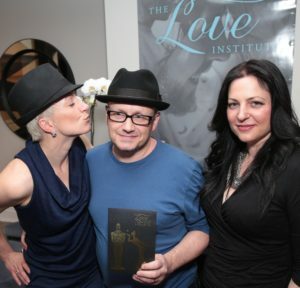 The Love Institute Couples Massage Classes can teach you and your partner how to massage like Rockstars. The lovely, and super sweet, Sarah Jeffrey of Wayward Pines and Meagan Holub, Celebrity Massage Therapist and Founder of The Love Institute. The handsome, and well dressed, Anthony Anderson of “All about the Andersons” at The Oscars Gift Bag Suite with The Love Institute Founder and Celebrity Massage Therapist, Meagan Holub. The talented Lenny Abrahamson, Producer of Oscar Winning “The Room” and his partner with Meagan Holub, Celebrity Massage Therapist and Founder of the Love Institute. We look forward to seeing these lovebirds in our one of our Couples Massage Classes. 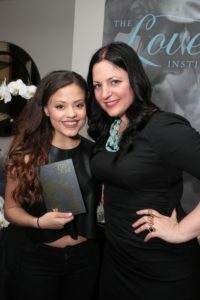 You too can purchase a gift certificate from The Love Institute and learn how to massage your partner, with the very same highly trained instructors that celebrities request from The Love Institute, exclusively. 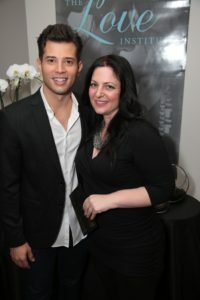 Rafael De La Fuente, Venezualan born actor and singer with Meagan Holub, Celebrity Massage Therapist and Founder of The Love Institute. 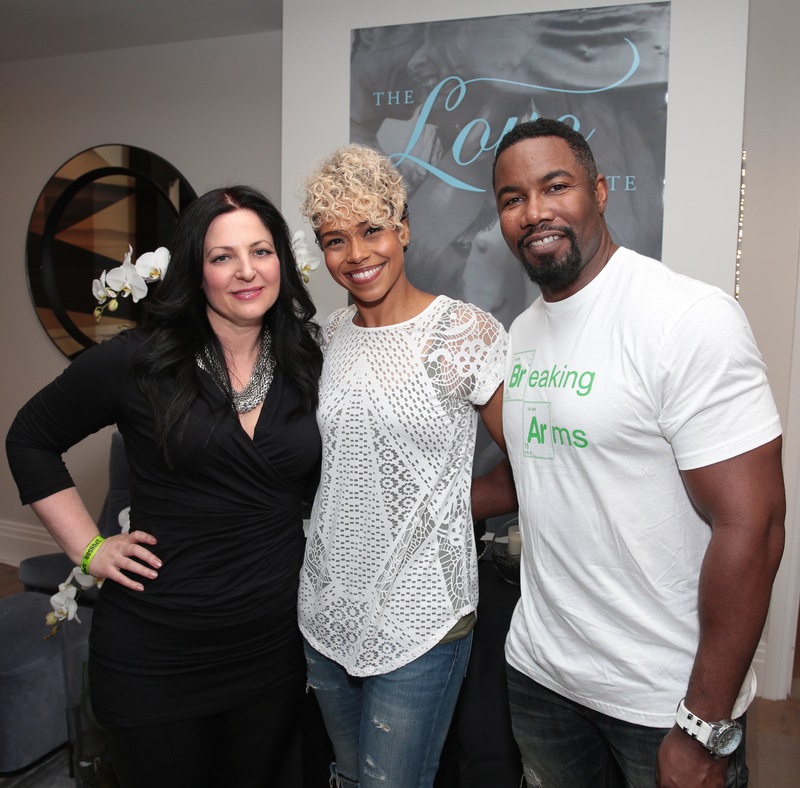 We look forward to seeing more of handsome face in Hollywood, and in a Couples Massage Class! Steven Bauer of Ray Donovan, and Meagan Holub, Celebrity Massage Therapist, and Founder of The Love Institute getting along famously at The Oscars gift suite hosted by GBK Productions in 2016. You can purchase a gift certificate for a Couples Massage Class, or Private Massage Lesson, just like the ones the Celebrities at the event attended, on our website. 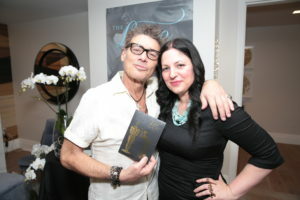 We look forward to teaching you how to massage like a Rockstar! Actor Luiz Guzman of Code Black at the Oscars Gift bag Suite with Meagan Holub, Founder of The love Institute. We love this man’s face. Yo may or may not be able to tell, but he’s smiling because he just received a gift certificate for $300 towards Couples Massage Classes at The Love Institute. Yes, that’s his smiling face. Right? So good. 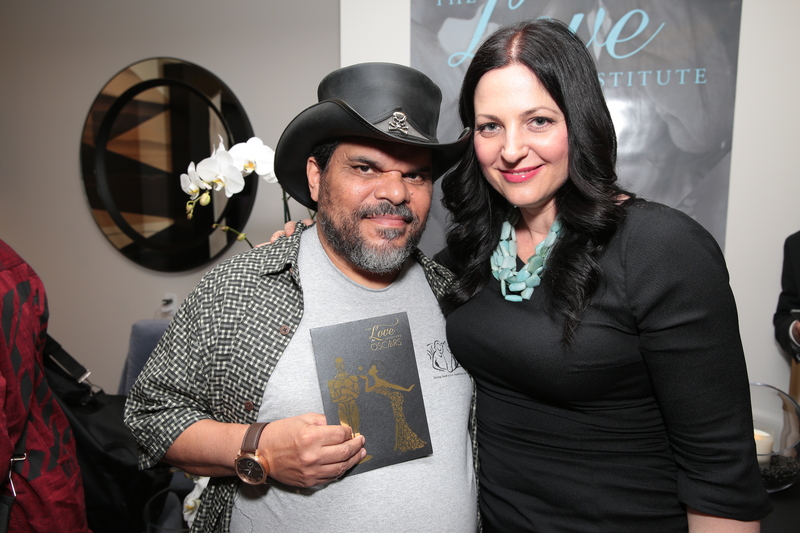 Actor Luiz Guzman of Code Black at the Oscar’s Gift bag Suite with Meagan Holub of The love Institute. Let our Couples Massage Classes put a smile on your and your partner’s faces. Gift certificates are available online. 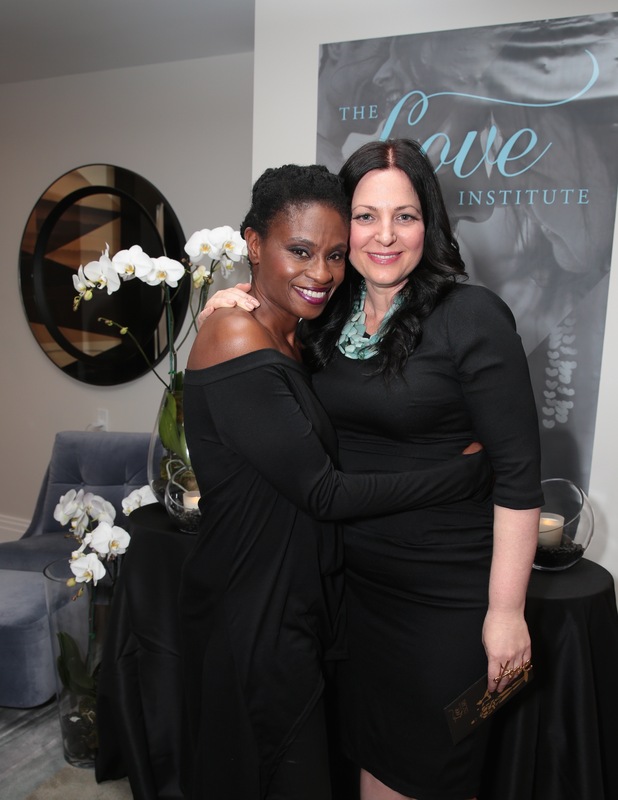 The lovely, big hearted, Adina Porter of The 100, shared a moment, and a huge hug with Celebrity Massage Therapist and Founder of The Love Institute, Meagan Holub at the 2016 Oscar’s gift bag suite hosted by GBK Productions. Adina Porter and Meagan Holub sharing a moment at The Oscar’s 2016 GBK Gift Bag Suite. Adina Porter received a gift certificate for a Couples Massage Private Lesson at The Love Institute. Couples Massage Classes and Private Massage Lessons are available to you, just purchase a gift certificate on our website and email us at askcupid@theloveinstitute.com and one of our highly skilled therapists will teach you how to massage your favorite VIP. We are passionate about sharing the art and science of giving an incredible massage.. Get ready to massage better, deeper and longer then you ever thought possible (and receive the same). Everything you need to massage your partner like a pro is here for you: Our very own How to videos, high quality lotions and massage tables from Earthlite's green factory, and Certified Therapeutic Grade Essential oils. Enjoy yourselves while learning everything you need to massage like a rockstar!